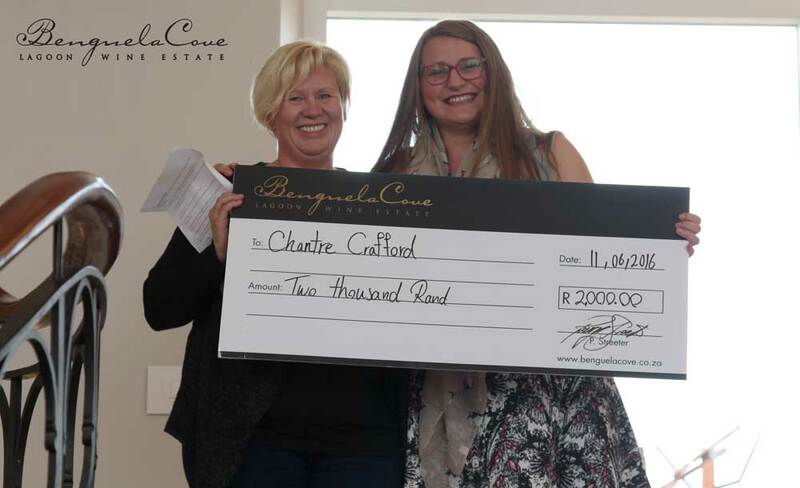 We are excited to finally announce the winner of the Benguela Cove tissue paper design competition. Chantre Crafford’s design caught the judges attention immediately and showcases the elegance of our Fynbos while at the same time sticking to a design that exudes Benguela Glamour. The brief was simple. The design should exude the #BenguelaGlamour spirit, the lifestyle you deserve: luxury living, delicious wine and amazing views. Designers and art enthusiasts were tasked to let their creative juices flow and put pen to paper to design the limited edition Benguela Cove tissue paper. This is the 1st year the competition ran and we were overwhelmed by standard of the entries received. In Chantre’s rationale she writes:”I decided to focus my design on a variety of flowers indigenous to our beautiful country, South Africa. I believe the flora of our country and specifically those situated in the Western Cape is what sets us apart from the rest of the world in terms of the visual world - our wine is what sets us apart from the culinary world.”This is another reason her why her design stood out. It in inline with the Benguela brand. With the spirit of Hermanus Fynarts in the air, our young designers works are displayed the bar area of the Manor House at Benguela Cove. The three runners up are: Andrea Barkhuizen, Aletta Petzer. and Ana Emge. The other top 10 entries were learners from Somerset Collect Carmen Mattysen, Isabel Corner, Liam Paris, Nicola Carter, Tasha Stavrou, Kayla Evans. Thank you to everyone who entered and for celebrating with us. We were honoured to have received many beautifully crafted artwork and look forward to next years designs.